No one likes waking up with a puffy face. You know what I’m talking about — that salt-engorged, sallow complexion that proves you’ve overindulged again (on pizza, alcohol and too many late nights). Finally, there’s a quick fix for bloated face syndrome that goes beyond holding cold spoons over your eyes — and the best part, especially in my case, is that it’s safe for pregnant women. 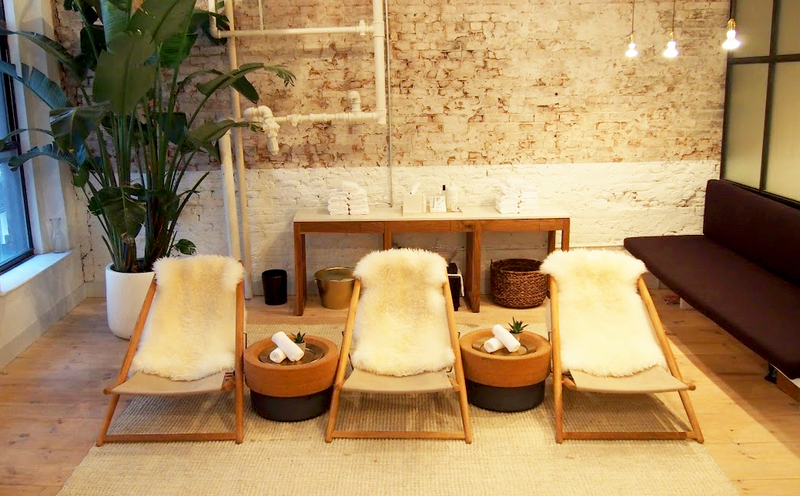 Introducing FaceLove, currently a popup at NYC’s Tenoverten Fulton Street location, a sanctuary where therapists offer 30 to 45-minute face, scalp, neck and décolletage massage treatments. Unlike regular facials, there are zero fancy tools or products used — skilled technicians rely solely on the power of touch to stimulate, relax and exercise muscles to brighten, firm and tone the complexion. 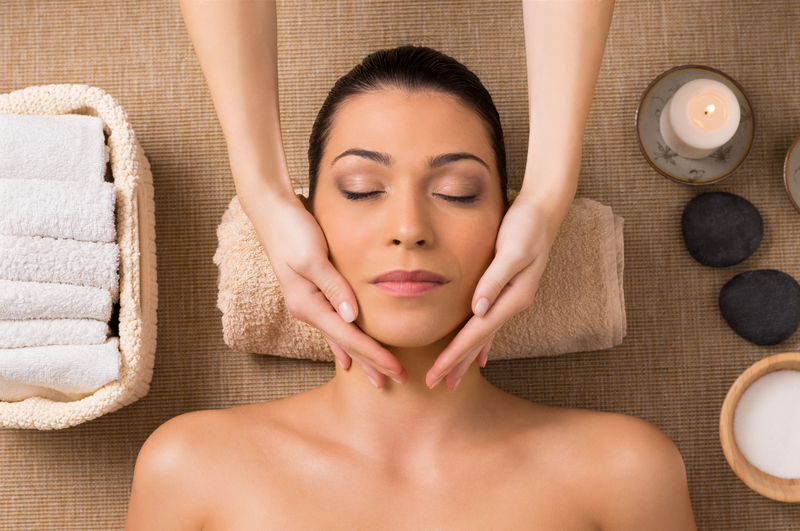 Plus, at $45 to $65 a treatment, it’s a fraction of what you’d pay for a microcurrent device or facial at a luxe spa. After experiencing what can only be described as one of the best face massages of my life, we sat down with FaceLove cofounder Rachel Lang to find out more. Stylish: Walk newbies through a 30-minute appointment at FaceLove. RL: Our 30-minute signature is comprised of three parts: a warm-up aromatic inhalation to encourage detoxifying deeper breathing, scalp, neck and shoulder tension release, face muscle toning that involves firming massage technique, acupressure and face exercise with interactive massage resistance and a cool down, which includes a warm dry steam towel on the face followed by chilled jade rollers and a shoulder-opening stretch Thai massage and lip conditioner application. Stylish: Why is it important to “exercise” your facial muscles? RL: The muscles on the face are directly connected to emotions. Neck stress from logging long hours in front of a computer keeps circulation from moving to the front of the face or releasing tension in the head. This lack of circulation leads to dullness, brittle skin cells and an overall fatigued appearance. Additionally, muscle has memory which is why our bodies can be sculpted from exercise and resistance training. Routine exercise can tone, sculpt and strengthen the muscles maintaining the support structure under the skin’s surface and improve bone density and muscle mass. Stylish: How exactly is FaceLove’s facial different? RL: We use firm pressure to access the muscle network instead of rubbing the surface of the skin and really release key stress areas such as the base of the skull and eyebrows, which soothes the adrenal system. Of course, we also relieve jaw tension and brighten and firm under the eyes with our massage technique, which will temporarily soften fine lines as the circulation acts as a filler. Stylish: How often do you have to receive this treatment to see a difference? RL: Our clients who come every week see the best results because we are able to work on only seven days worth of stress, lifestyle and build on muscle memory. The massage brightens the complexion and erases visible signs of stress such as tension and dullness.